The two storage pockets seamlessly blend into the back seat area of the second-generation XC60, which Volvo debuted at the Geneva auto show this week. Volvo's new XC60 debuts a storage space that is perfect for the iPad, which is ironic considering that the original idea for the clever solution pre-dates the popular Apple device by three years. Volvo's Christina Leinonen, who is a senior program director, envisioned two thin, wide pockets under the back seats of a Volvo model a decade ago, her boss, Magnus Olsson, who is vice president of vehicle development for Volvo's 60-series cars, told me. The iPad reached the market in 2010. It took 10 years to make the storage spots a reality because they couldn't be added to just any vehicle. For example Volvo's new S90 sedan and V90 wagon sit too low. “It was possible with the XC60 because the seats are higher,” Olsson said. They are not in the new XC90 because it has an adjustable second row of seats to accommodate the SUV's third row of seats. 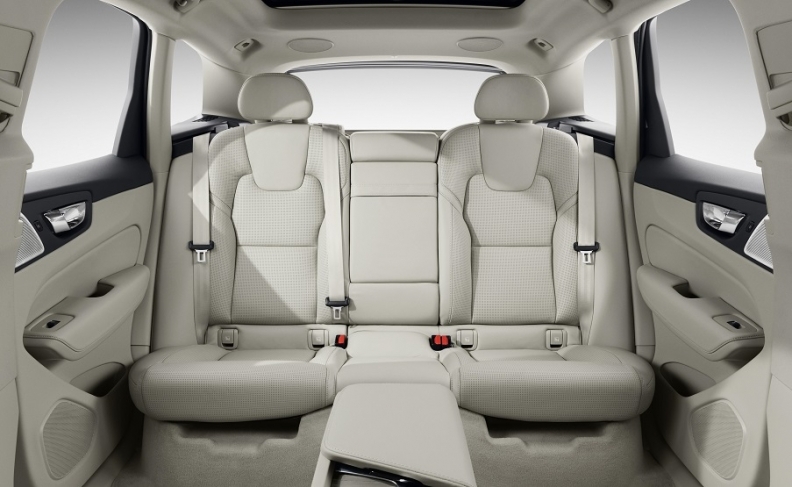 The pockets seamlessly blend into the back seat area of the second-generation XC60, which Volvo debuted at the Geneva auto show this week. Olsson was quick to point out that -- given Volvo's emphasis on safety -- the feature has undergone crash tests to make sure that whatever is storage in the pockets doesn't fly out and cause harm. He said that distance items would travel from one of the pockets to the back of a person's legs is so short that the relative speed would not be enough to cause injuries or serious damage. To further improve safety, the openings of the storage spaces were specifically contoured to keep items from sliding out.